What is Judaism's View of Jesus? Stated simply, the Jewish view of Jesus of Nazareth is that he was an ordinary Jewish man and, most likely, a preacher living during the Roman occupation of Israel in the 1st century C.E. The Romans executed him—and many other nationalistic and religious Jews—for speaking out against the Roman authorities and their abuses. 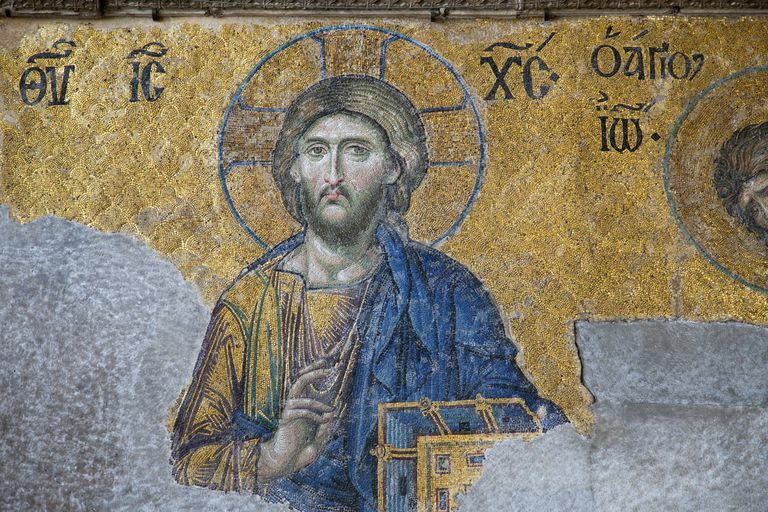 Was Jesus the Messiah According to Jewish Beliefs? After the death of Jesus, his followers—at the time a small sect of former Jews known as the Nazarenes—claimed he was the Messiah (Mashiach or מָשִׁיחַ‎, meaning anointed one) prophesied in Jewish texts and that he would soon return to fulfill the acts required of the Messiah. The majority of contemporary Jews rejected this belief and Judaism as a whole continues to do so today. Eventually, Jesus became the focal point of a small Jewish religious movement that would rapidly evolve into the Christian faith. Jews do not believe that Jesus was divine or the "son of God," or the Messiah prophesied in Jewish scripture. He is seen as a "false messiah," meaning someone who claimed (or whose followers claimed for him) the mantle of the Messiah but who ultimately did not meet the requirements laid out in Jewish belief. What is the Messianic Age Meant to Look Like? According to Jewish scripture, prior to the arrival of the Messiah, there will be a war and great suffering (Ezekiel 38:16), after which the Messiah will bring about a political and spiritual redemption by bringing all Jews back to Israel and restoring Jerusalem (Isaiah 11:11-12, Jeremiah 23:8 and 30:3, and Hosea 3:4-5). Then, the Messiah will set up a Torah government in Israel that will serve as the center of world government for all Jews and non-Jews (Isaiah 2:2-4, 11:10, and 42:1). The Holy Temple will be rebuilt and the Temple service will begin again (Jeremiah 33:18). Lastly, the religious court system of Israel will be rekindled and the Torah will be the only and final law of the land (Jeremiah 33:15). Furthermore, the messianic age will be marked by the peaceful coexistence by all people devoid of hatred, intolerance, and war — Jewish or not (Isaiah 2:4). All people will recognize YHWH as the one true God and the Torah as the one true way of life, and jealousy, murder, and robbery will disappear. Furthermore, in Judaism, revelation happens on a national scale, not on a personal scale like with the Christian narrative of Jesus. Christian attempts to use verses from the Torah to validate Jesus as the Messiah are, without exception, the result of mistranslations. Because Jesus neither met these requirements nor did the messianic age arrive, the Jewish view is that Jesus was merely a man, not the Messiah. Jesus of Nazareth was one of many Jews throughout history who either attempted to directly lay claim to being the messiah or whose followers made the claim in their name. Given the difficult social climate under Roman occupation and persecution during the era in which Jesus lived, it is not hard to understand why so many Jews longed for a time of peace and freedom. The most famous of Jewish false messiahs in ancient times was Shimon bar Kochba, who led the initially successful but ultimately disastrous revolt against the Romans in 132 C.E., which led to the near annihilation of Judaism in the Holy Land at the hands of the Romans. Bar Kochba claimed to be the Messiah and was even anointed by the prominent Rabbi Akiva, but after bar Kochba died in the revolt the Jews of his time rejected him as another false messiah since he did not fulfill the requirements of the true Messiah. The one other major false messiah arose during more modern times during the 17th century. Shabbatai Tzvi was a kabbalist who claimed to be the long-awaited Messiah, but after he was imprisoned, he converted to Islam and so did hundreds of his followers, negating any claims as the Messiah that he had.